MUSKOGEE, OK. — Olympic gold medalist, Billy Mills, has been named the keynote speaker at Bacone College’s commencement ceremony at 2:00 PM on Saturday, May 2, 2015, at the Muskogee Civic Center loated at 425 Boston Ave. in Muskogee. The public is welcome to attend. Source: TulsaWorld.com. 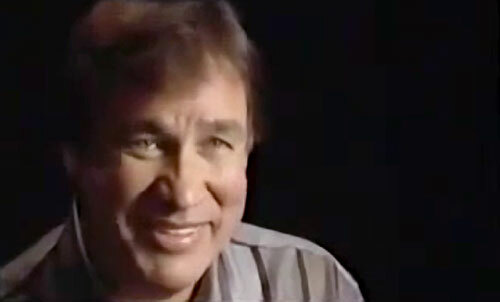 Billy Mills was first and only Olympic runner from the Western Hemisphere to win the gold in the 10,000-meter run. He was born and raised on the Pine Ridge Indian Reservation in South Dakota. Today he is an accomplished businessman, author and spokesperson for Christian Relief Services. Watch Mills describe how he used the law of attraction to achieve his goal at the 1964 Olympics. Mills was recognized on several end-of-the-millennium lists, including being chosen as Sports Illustrated’s Athlete of the Century for the state of South Dakota. In 2013, Billy won the second highest honor that is awarded to a civilian – the Presidential Citizens Medal from President Obama. On January 17, 2014 the National Collegiate Athletic Association (NCAA) presented Billy the highest award they give to an individual: The Teddy Roosevelt Award. As National Spokesperson for Christian Relief Services, Mills has helped raise over 500 million dollars in cash and in-kind for charities worldwide. He has received five honorary doctorates, and is the recipient of the Distinguished Service Citation, the highest honor that the University of Kansas Alumni Association can bestow upon an individual to acknowledge outstanding achievement for the betterment of mankind. Sports Speakers 360 is a booking agent for pro athletes. If you would like to book Billy Mills for a speaking engagement, appearance or endorsement, contact Billy Mills booking agent for fees at 1.855.303.5450.